"Gilbert Meilaender has written an articulate and compelling justification of human dignity for an age that increasingly evinces less confidence in its self-evidence. Neither Beast nor God is accessible without short-changing either erudition or complexity. It should be read and considered by everyone with an interest in the future of humanity's humanity." The term 'dignity' has been used with increasing frequency--but in very different ways--in the field of bioethics. The importance of dying with dignity is used as an argument in support of euthanasia and assisted suicide. But such an argument is likely to be met with the rejoinder that diminished capacities cannot deprive human beings of their dignity. Such contrasting uses first drew me to try to unpack the meaning of dignity; for, when a significant concept can be used in such puzzlingly different ways, it needs our attention. I have come to think that we should distinguish between two quite different senses of dignity, which I call human dignity and personal dignity. The terminology itself is not sacred, though I have reasons for the choice I have made. What is most important, though, is that we see the distinction. Kierkegaard focused much of his attention on what he called "the single individual," but he noted that this may mean two different things. The single individual may be the "one and only"--that is, the person distinguished in special ways and by special merit. The single individual may also be each one of us without distinction. That, in a nutshell, is the twofold dignity that I unfold. Although the argument is complicated, I believe that both senses grow out of an examination of the character of human beings as living organisms. Drawing on the work of Hans Jonas, I suggest that the human dignity characterizing our species is grounded in the fact that we are living organisms. Even the simplest living organisms carry out the work most fundamental to organic life--namely, self-preservation. In carrying out that work they necessarily engage in metabolic exchanges with the world outside them. Hence, they display a kind of purposive inwardness. Animals, including the human animal, are, of course, more complex than plants. They are not rooted in place. They are characterized, as Jonas observed, by perception, desire, and movement. Thus, our dignity as human beings involves loyalties to place, while, at the same time, the human capacity for reflection offers a kind of transcendence of any given location. Human beings are also characrterized by a special desire for a mate. This desire for one who is sexually "other," draws us out of ourselves and produces children, who will take our place. Thus, the dignity that characterizes our humanity involves how we come into being. And, because movement toward death is also built into organic life--as the metabolic fires die down--decline and death also characterize human life. The desire that draws us out of ourselves toward the other is, ultimately, desire for the one who is truly Other--that is, desire for God. Hence, talk of our nature invites us, in the end, to talk also of our destiny. The language of human dignity is, in my view, a placeholder for such characteristics of our species. It involves, centrally, how we come into being and go out of being, our location in space and time and our transcendence of location. It involves an inwardness, an anima, that is united with the body but not reducible to body. We are, as St. Augustine said, terra animata, animated earth--and precisely that is the dignity of the human being who is neither beast nor god. I try to draw out the implications of this vision of human dignity in brief chapters that explore birth and breeding, childhood, loyalties, and death. What I also suggest, however, is that thinking carefully about our human dignity will press us to think in another way--about what I call personal dignity. Drawn toward God, as we ultimately are, we find that the God-relation individualizes us. Each is equidistant from God, and here comparative judgments are out of place. With respect to the different aspects of our human dignity, comparison is always possible, even likely. We may lose much of some aspects of human dignity. We may subvert or undermine it in various ways. But no one's personal dignity can be lost. Thus, for example, to clone a human being--to adopt such a way of coming into being--would degrade our human dignity and should never be done. Yet, were it done, that cloned human being would be our equal, marked by the personal dignity that cannot be effaced. Human beings are characterized in certain ways; yet, a human being is not a some thing but a some one. With respect to the various qualities that characterize our human dignity, we can always be compared. Some will flourish more fully as human beings than others. Some will barely display the capacities that characterize our humanity. But some ones are unrepeatable; they cannot be compared. And precisely because they cannot be compared, they are equal in personal dignity. Our society needs both concepts of dignity. We need to honor and uphold the different aspects of our human dignity, acknowledging that this will mean making comparative judgments about greater or lesser flourishing. That will be safe to do, however, only if we also affirm the personal dignity that makes us equal. Our tradition has found the ground of personal dignity in each person's relation to God, and we remain committed to equal personal dignity in North American societies even as that religious belief has been attenuated. We find ourselves, therefore, in a bit of a puzzle: having a commitment in search of a rationale. While I wish well to all who seek rationales of one sort or another, I myself doubt whether the commitment can survive indefinitely apart from its religious underpinnings. Of course, no one can be compelled by argument to acknowledge the equal dignity that is grounded in our relation to God. The heart must be open to recognize personal dignity in every living human being. We must be ready to set aside the notion that we can or should evaluate their claim to personal dignity and accept the truth that, in our willingness or unwillingness to acknowledge it, we judge ourselves. Gilbert Meilaender is the Richard & Phyllis Duesenberg Professor of Christian Ethics at Valparaiso University. He was a member of the President's Council on Bioethics and a Fellow of the Hastings Center, a bioethics think tank. 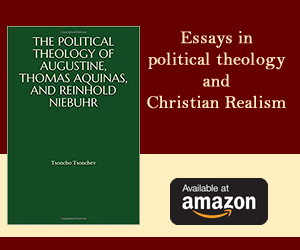 His previous books include Bioethics: A Primer for Christians and Body, Soul, and Bioethics.